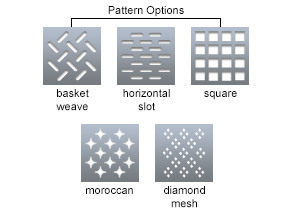 This Perforated Steel Collection with cast iron frames is available in your choice of five different patterns. The durable yet stylish frames are constructed of 5/16" cast iron with a strong H-beam cross section. 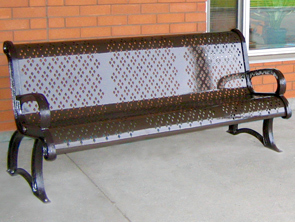 The seating is 13 ga. perforated steel in your pattern choice, and Add-On Units are also available to add onto any bench. All hardware is stainless steel.